So, there I was, sitting in Rinaldo’s in my usual seat on the couch in the corner listening to my peers discuss travel plans for the upcoming weekend. I couldn’t join in because I had no plans so I decided I needed to go somewhere. I pulled out my computer and my credit card, searched “Rome to Venice” and booked a train ticket and a hostel for the weekend. Spontaneous and maybe even a little impulsive, I made the decision and didn’t need to discuss it with anyone. After I realized what I did, I thought, Oh my God I’m going to Venice, ALONE!! And there began the brewing of excitement tinted with unease in the pit of my stomach. 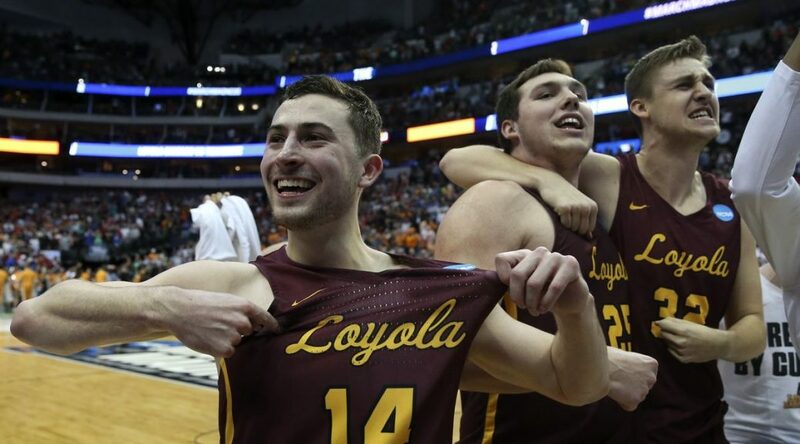 After a late night of cheering on the Men’s basketball team and celebrating their victory into the Sweet Sixteen, I woke up (a little hungover), packed, and made my way to the train station. I’m not an anxious person, but when it comes to traveling with a deadline, I’m always on the edge of panic but everything went smoothly and I made it on the fast train headed to Venice. With a grin on my face, I admired the hills and fields passing me by as I sped over 150 mph towards the City of Water. 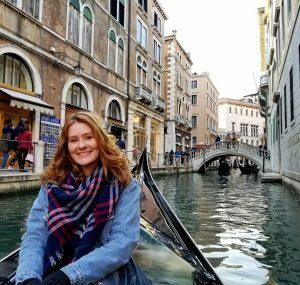 Four hours later, tired and hungry (the default state of being for a college student studying abroad), I arrived in Venice, immediately dropped my backpack off at my hostel, and went off to explore the narrow streets and winding canals. Venice is a maze. Google Maps would tell me to walk down what appeared to be a dark, deserted alleyway but, when I would turn the corner, the street would be bustling with life. 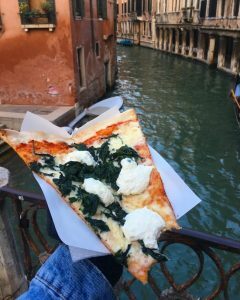 I thought I was walking in circles because I would pass Murano glass shops, mask shops, and pizzarias then I’d walk over a bridge and pass more glass, masks, and pizza. 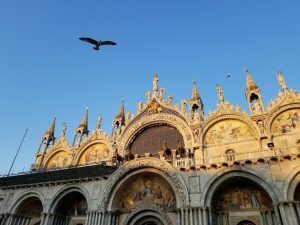 I happened upon Piazza San Marco, the only piazza in Venice, crowded with one half tourists and the other half pigeons. Children were chasing the pigeons, couples were dancing to live music emanating from the caffès lining the piazza, men were feeding the pigeons and trying to get tourists to pay to take pictures with the birds, and tourists were walking around with their selfie sticks, always looking up with their mouths agape. 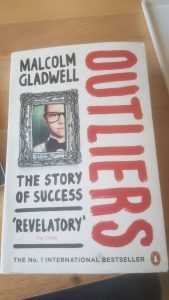 When you travel a lot, you start to notice the typical tourist giveaways. At the East end of Piazza San Marco lies Basilica Cattedrale Patriarcale di San Marco, Saint Mark’s Basilica. Unfortunately, I was unable to go inside but I did admire the facade, which was highlighted with gold mosaics and sparkled in the golden hour sunlight. 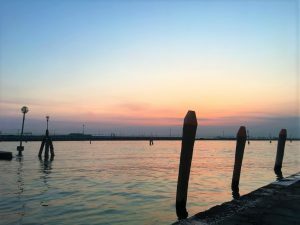 The sun was approaching the horizon and I realized that now was my opportunity to see a Venetian sunset so I frantically walked around trying to find that perfect view that I’ve seen in photos but, unfortunately, I could not beat the sun. I started back towards my hostel, meanwhile glancing at all the menus posted along the way. 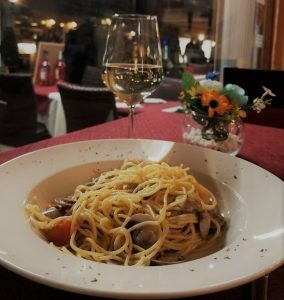 A woman, whose job consisted of getting people into her ristorante, advised me about the perfect Venetian dishes to try for a seafood beginner (I’m not a fan of seafood but I wanted to be adventurous). I ate spaghetti alle vongole which was spaghetti with teeny, tiny clams in their shell and tomatoes with garlic sauce. Delizioso! Oh, can’t forget the glass of white house wine, one must drink wine in Italy. I began my second day in Venice with a cappuccino and a trip to Murano, an island about a thirty-five-minute waterbus ride from my hostel. 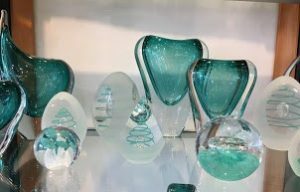 Murano is famous for its glass production which began in the 7th century. I went to the Glass Museum and saw some ancient glass and learned the history surrounding the main product of Venice. The glassblowing process is so fascinating, I wish I could’ve seen it in person! After leaving the museum, I walked along the canals and browsed through the shops lining the water. It took lots of deliberation but I found some beautiful souvenirs to bring back home for my friends and family. Let’s talk about transportation in Venice. There are no roads, only canals, so you can either walk or travel by water. Waiting for the bus consisted of standing on a swaying platform next to a dock and hopping on a boat when it arrived. Venice did not feel like a real place because it is so different than any city I’ve ever seen. Florence has mopeds, Amsterdam has bikes, London has the Tube, Paris has the Metro, and Venice has waterbuses and gondolas. Gondolas have set rates in Venice so one gondola for forty minutes is €80 and you can have a maximum of six people splitting that cost. As we know, I was traveling by myself and I could not afford an €80 private gondola ride on my romantic solo trip but I couldn’t go to Venice and not ride a gondola! 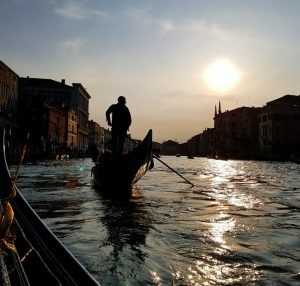 I scoured the internet until I came across a deal on Viator.com for a walking tour plus thirty-five-minute gondola ride for $51. US DOLLARS! Lifelong dreams were coming true that day. It was time to meet up for the walking tour of Venice and my tour guide was a Venetian with a sarcastic, dark sense of humor and I enjoyed it. We toured an area with less tourists and saw a few of the one hundred and twenty-five churches of Venice. Venice sinks about 12 cm a century so now is a great time to invest in the housing market (credit for that joke goes to my tour guide, Marco). It was finally time for my gondola ride! 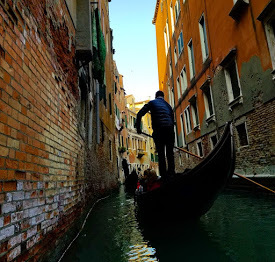 I was put onto the boat with two couples and another solo rider and we embarked on our thirty-five-minute expedition around the winding Venetian canals. My gondolier did not sing or wear a fun hat like I saw other gondoliers wearing but he peacefully propelled us along. The best way to experience Venice is by water and I am so glad I was able to go on a gondola ride. It was peaceful and beautiful but over all too quickly. After disembarking from the gondola, I wondered around a bit and happened upon Piazza San Marco, again. There are wooden walkways for when the city floods stacked all over the piazza so I went off towards the Doge’s Palace to sit on the walkways with the other tourists. I had a salami sandwich in my purse leftover from my sack lunch and I was starving so I thought it would be a good time to relax for a minute and eat. Plus, I was saving money because I did not need to buy another meal. I pulled out my sandwich, unwrapped the tinfoil around it, and took a bite but within thirty seconds of that first bite, a seagull swooped down and grabbed the sandwich from my hand. The seagull landed about fifteen feet in front of me and eight other seagulls were fighting that thief for my sandwich. I was completely shocked. Did a seagull really just take my sandwich? The other tourists around me also looked shocked and I started to laugh hysterically. I could not believe that just happened and I thought it was hilarious because it was such a stupid mistake to try and eat in a piazza FILLED with birds. If you go to Venice, please do not eat in the Piazza San Marco, learn from my mistake! There I was in the piazza, hysterically laughing, alone, and without food so I wondered around until I found a take away pizza place. I had walked past it a couple of times during my earlier adventuring and there was a spinach and ricotta pizza that I had been eyeing. Of course, I got the pizza because it was only €3.50 and the slice was huge! I think my sandwich was meant to be taken from me so that I could enjoy that delicious pizza. It was waaaaay better than any pizza that I’ve eaten in Rome so far. The sun was setting on my second day in Venice and I found myself at a dead-end with a perfect view of the sunset. It finally hit me that I was in Venice. Traveling is hectic and everything moves so fast that it’s possible to forget to take a breath and really appreciate the place you’re in. 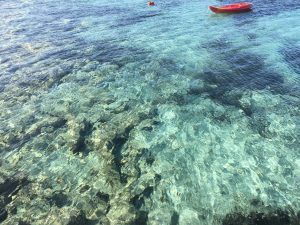 I felt the cool breeze on my face and I knew that if I touched the water, it would be cold. I’m not sure for how long I watched that scene but I did not walk away until the sun made its full decent beyond the horizon. Venice is gorgeous, unique, and a little bit ridiculous and I am grateful that I had the opportunity to visit before it sinks. I’m kidding, that’s not going to happen for a while. Traveling to Venice felt unreal because it is so different than any city that I have ever seen. This small town will forever hold a place in my heart, even if it feels like just a dream. 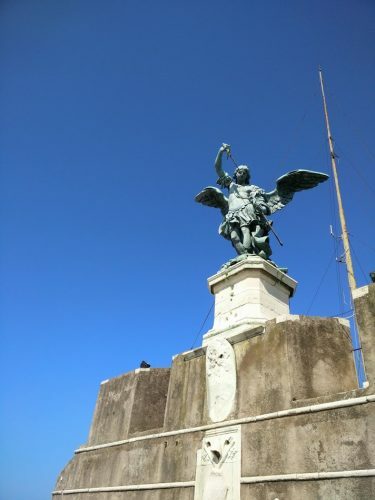 On Friday, March 23, I visited the famous Castel Sant’Angelo in Rome. I have wanted to see this building in its entirety since I first visited Rome junior year of high school. I had seen the outside many times but now I finally had the opportunity to step inside and walk the halls and passages. I must admit, a big reason I like this building so much is because of its appearance in the video game Assassin’s Creed: Brotherhood. The game franchise was one of my favorites growing up. Okay, it’s still a fun series and I am excited to play it more when I get home. Castel Sant’Angelo serves as a fortress and hideout for the antagonist in the video game. During one mission the player must scale the walls of the castle, sneak past countless guards on their patrols, and kidnap the wife (and sister) of the bad guy. Breaking into that fortress was always so challenging and now I know why. Built in the second century AD, the castle is a huge cylindrical tower of stone and brick. It has been a prison, a fortress, a hideout for fleeing popes, and an apartment complex for wealthy political leaders. It was first built as a mausoleum for the Roman emperor Hadrian to store his remains and those of his family. 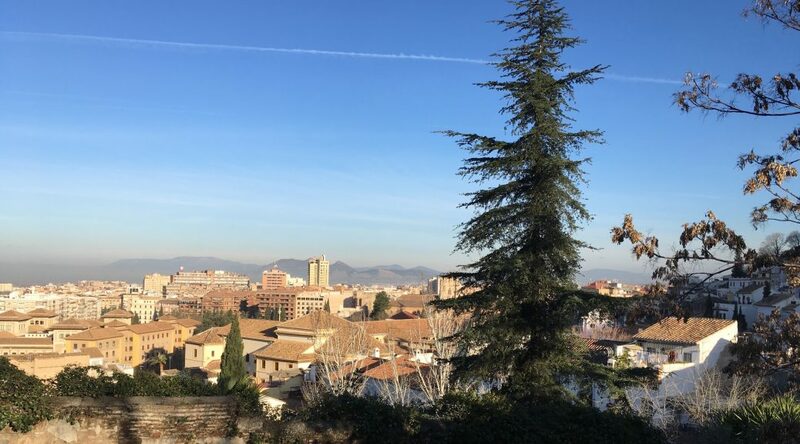 Since construction began, the tower was built upon gradually as different popes and emperors took power and added what they wished to the foundation. So many of Rome’s ancient structures have been reduced to ruins over time but this castle still stands tall overlooking the Eternal City. I took a solo tour and slowly worked my way up to the top, where I got some great pictures of the entire city. Inside the castle you’ll find weapons used by guards that worked there. Swords and incredibly long, heavy guns encased in glass give you a sense of how intimidating those guards must have been. 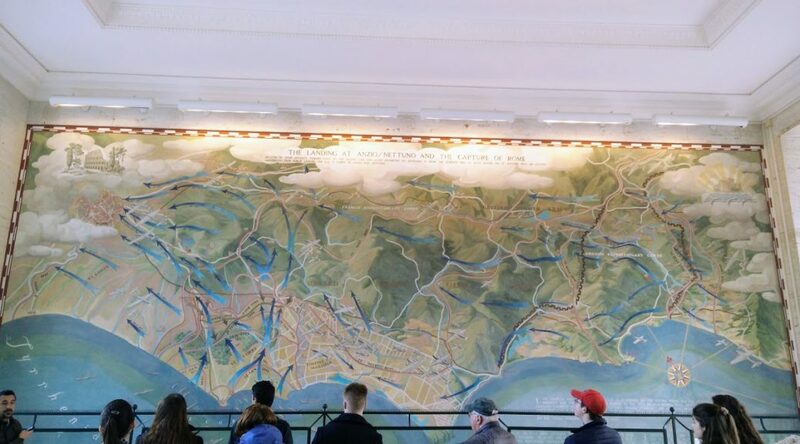 Each viewpoint has an informational sign that guides you through your own tour. There are lavish apartment suites and guest rooms used by the rich popes and clergymen who lived there. My favorite parts were the various traps and obstacles put in place to ward off invaders and attackers. If Rome was to be attacked, the rich people taking shelter in the fortress would have been protected by a moat, trap doors, catapults and cannons. It’s kind of weird thinking of what this building used to be, compared to what it is now. 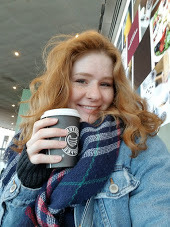 I sat in a cafe built into one of the upper floors and sipped an overpriced cappuccino. Centuries ago people may have died in that same space, fighting to build and protect a powerful city. 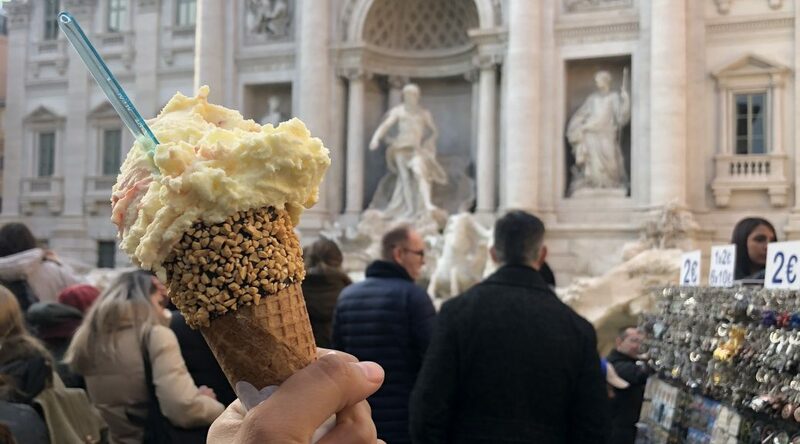 What was once a powerful symbol of Rome’s dominance is now a tourist museum that the locals probably mean to visit but never get around to it. 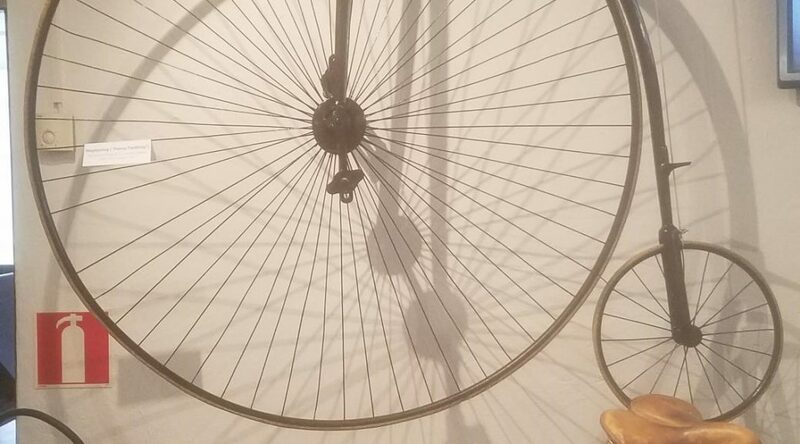 (Hello Willis Tower and Chicago Cultural Museum) I want to make more of an effort to visit places like this at home. 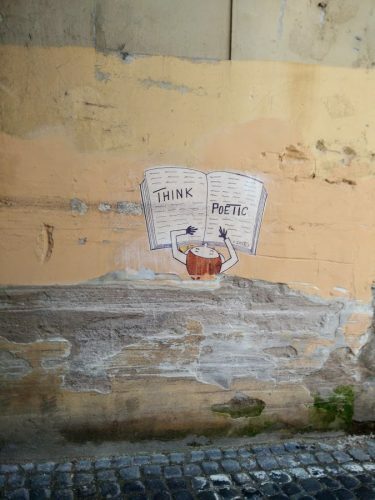 If you can’t be a tourist in your own city, why live there? Of course, we don’t have any landmarks with that much history in them, but we do have some really great sights and things to do. 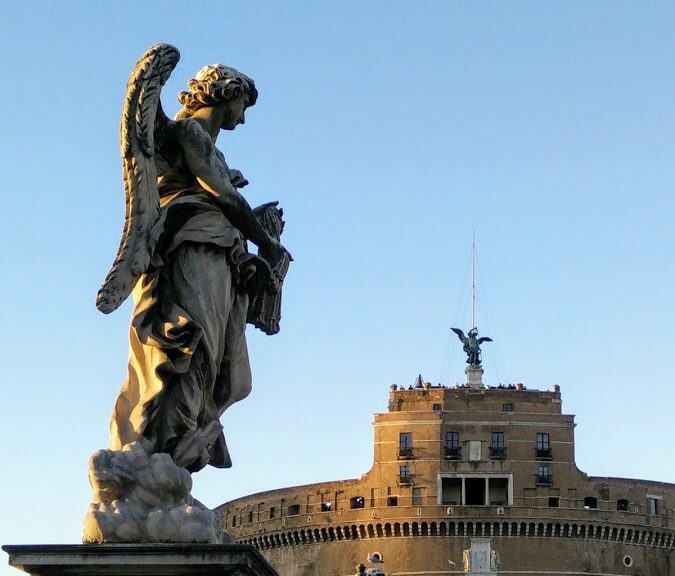 Sometimes seeing places like Castel Sant’Angelo in Rome only make me want to be home so I can explore our landmarks too. 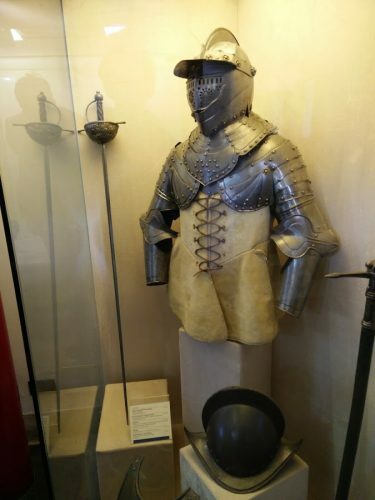 An examples of armor worn by castle guards. 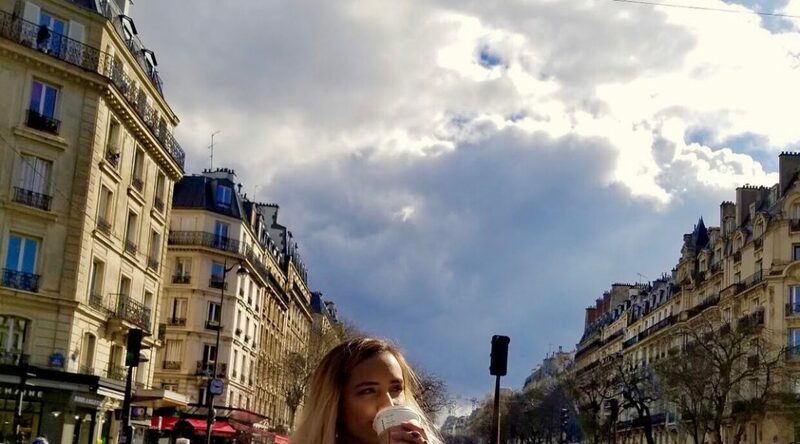 Since the start of studying abroad, I’ve tried to travel and visit new places as much as possible. Prior to last weekend, I had been to the Luzern area twice and to Konstanz, a German town close to the Swiss border. Despite every single trip being memorable and unique, none of them had been to places far away or much different than the Zurich area. So, last weekend I decided to finally experience a country with an atmosphere and culture distinct from Switzerland. When planning last weekend’s getaway, my friend and I were looking at various places like Spain, Greece, and the United Kingdom. However, we quickly discovered that all of these places were going to have poor weather the entire weekend. Despite that normally not being the biggest issue, there have only been about two sunny days in Switzerland so far and we needed to escape the cloudy weather. 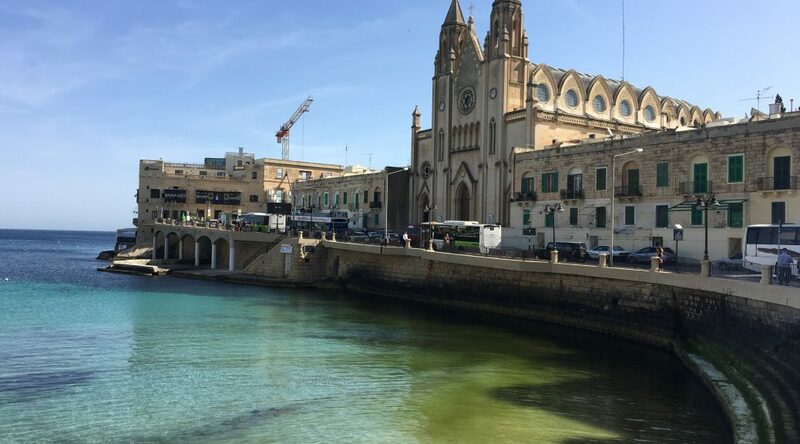 Finally, after considering nearly every country in Europe, we found a great deal to go to Malta. The only problem was that I had no idea what Malta was or where it was. After only about 10 minutes of research, which mainly consisted of looking at beaches, we decided to take a risk and book the trip. 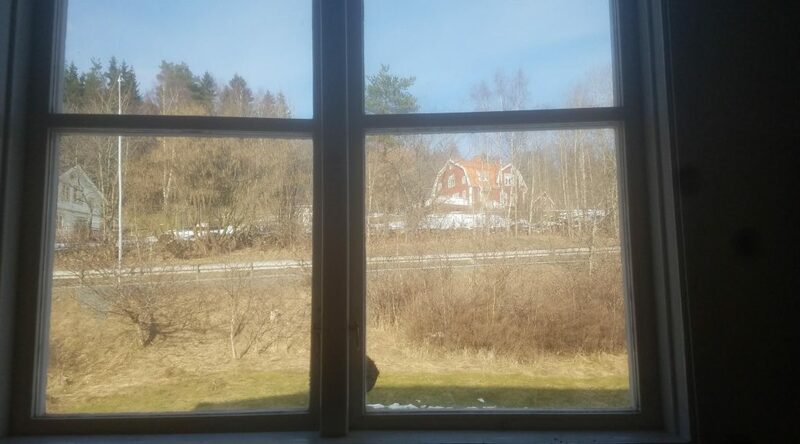 As soon as we got off the plane and felt the warm air and sun, we knew we made the right choice. For the majority of our trip, except for some cold winds Saturday that came from Sahara, we were accompanied by the amazing weather that was missing in Switzerland. 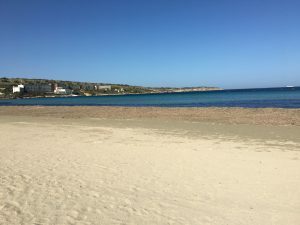 I took advantage of that as much as possible by walking around in a tank top and shorts, while also trying to visit as many beautiful beaches and bays as possible in two days. At all of the nature attractions we visited we took in the spectacular views for as long as possible, all while getting a much needed tan. 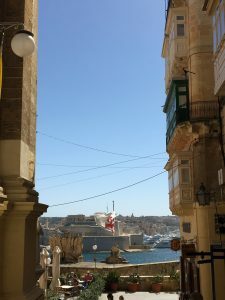 Aside from the warm weather and beaches, Malta also features wonderful cities and a rich history. When we weren’t tanning, we were visiting some of the famous cathedrals in the country or walking around the streets. 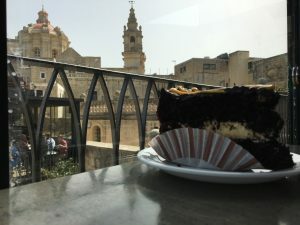 My favorite city in the country, Valletta, was a place that I never wanted to leave. 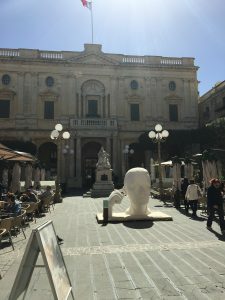 The atmosphere and streets were similar to what I imagine Italy to have, mixed with influences of Arabic and the traditional Maltese culture. 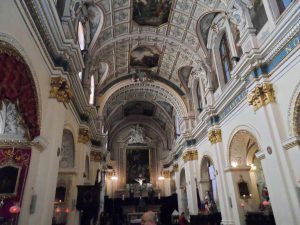 The funniest part of the entire trip came in Valletta when we went to the most famous cathedral in all of Malta, the St John’s Cathedral. The security in the front wouldn’t let me in because I was wearing a tank top and you can’t have exposed shoulders inside. They did eventually let me go inside, but I had to wear a cape to cover my shoulders. 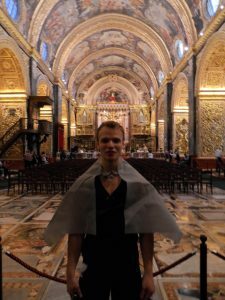 Along with all the looks and laughs I got inside the Cathedral, I got to keep the cape after so it makes for a nice souvenir. It also didn’t hurt that the Cathedral had stunning paintings all over and a captivating history to it. 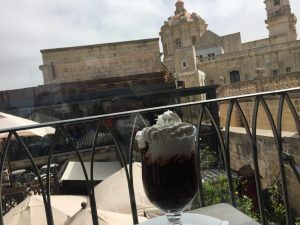 The last, and possibly best, part of Malta was the delicious and cheap food and drinks. The hardest decisions we had to make the whole weekend was where to eat because every single place looked amazing. The first night we chose to go to a traditional Maltese restaurant that our taxi driver suggested. 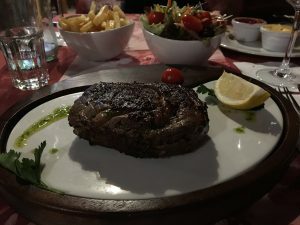 I got a big ribeye steak that would cost four times as much in Switzerland. 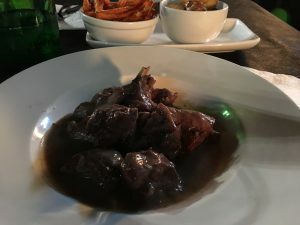 To make it even better, we got free appetizers and desert to go along with our meals.The next night we went to another Maltese restaurant but this time I got one of the most unique meals in Malta; rabbit. Even though I was a bit scared at first, it ended up tasting amazing and I would have it again. In between those two dinners, I had as many sweets and coffees as possible. Not a single thing I had disappointed and I’m hoping that all the walking we did burned at least some of the calories that were consumed over the weekend. Looking back on the trip now, it’s crazy to me how I can be in a place so different from Switzerland in just a two hour plane ride. 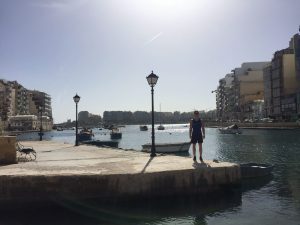 Malta was a country unlike any that I’ve ever been too and I’m beyond happy that I made the spontaneous choice to go there. 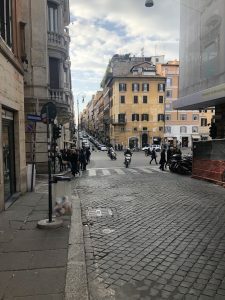 I spent March 17th and 18th traveling around Rome and western Italy learning about Italy’s role in the Second World War. I discovered that during the war, Rome and the rest of the country played key roles for both the Allied and Axis powers. Lead by a JFRC teacher, SLA, and JFRC alumni Phil O’Connor and Jim Centner, the trip was extremely educational and fun. I was hesitant to go at first. 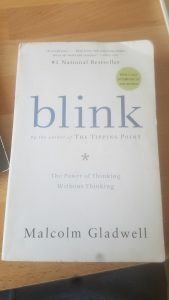 I wasn’t sure if it would be worth the money (€ 50) or the time, and I had no particular interest in talking about a war that I had already studied in high school. 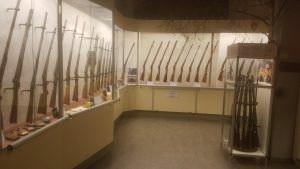 I figured I knew the history, and the trip would not be anything new. I am happy to report that I was wrong in every way. Not only was the trip worth every penny, it taught me a ton about the war and 20th century Italian culture. On the first day, we bussed around Rome, visiting historic sights at which major events took place during the Nazi occupation of Rome. First, we walked down Via Rasella, the steep and narrow street where, on March 23, 1944, a group of 16 members of a communist resistance group The Gruppo d’Azione Patriottica (Patriotic Action Group) attacked a column of SS police as they carried out their routine march through the streets. The attackers used an improvised bomb made of 40 pounds of TNT encased in metal and hidden in the bottom of a garbage cart. As the column of soldiers approached, the man pushing the cart lit the fuse on the TNT. The explosion killed 28 SS policemen and may have killed two civilian bystanders as well. When the bomb went off, the soldiers, confused and alarmed, began firing their weapons into the apartment windows above them. They thought that the bomb had been dropped onto them from above. Civilians near the windows were killed and the street was a scene of chaos as everyone panicked. Following the attack, Hitler ordered a reprisal as punishment for the killing of his policemen. Nazi leaders agreed on a reprisal of ten Italians for every one German soldier. In the end, 335 Italians were killed as punishment for the deaths of 30 SS policemen. The 5 extra people were killed to keep them from disclosing the location of the massacre. You can read about the Ardeatine Massacre online, so I’ll spare you the details. I learned that reprisals like this one were common among opposing groups during the war. I spent the day wondering how and why people continue to do these things to one another. The area is now a cemetery for people killed in the massacre. From there, the day became a little more cheerful. We visited the Liberation Museum in Rome. It had been a prison where some of the victims of the Ardeatine Massacre were kept, but since the 1950s it has been a museum celebrating April 25th, in 1945 when Italy was liberated from Nazi rule. Day Two started at 7 AM. We hopped on the bus and visited a large German cemetery. It was pouring rain so our visit was short. The cemetery was perfectly symmetrical with plain white crosses at each grave. Each gravestone marked the place of at least 6 German soldiers. Typical Nazi resourcefulness. As the rain cleared up, we made our way to my favorite place of the trip, Piana delle Orme, a huge WWII museum and park. 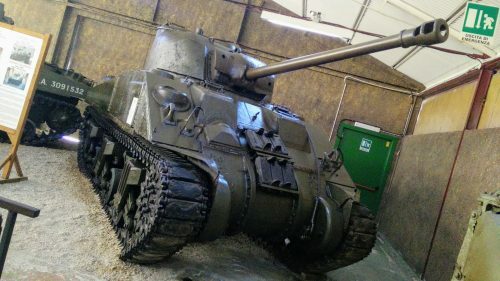 We spent two or three hours at this museum, walking through the giant hangars full of jeeps and tanks used in the war, depictions of battle scenes, and iconic cultural items of the time. 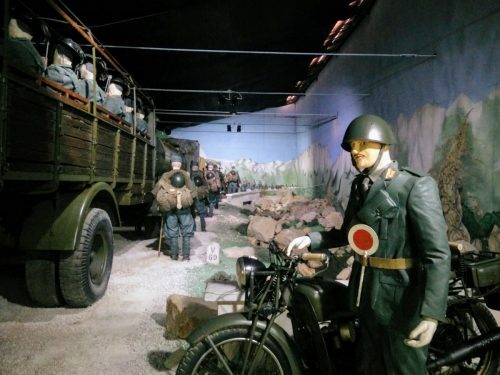 Many of the rooms used mannequins and models to create scenes of big events during the war. Several exhibits had red buttons that, when pressed, would play music and sounds of explosions and battle commands that enhanced the experience of each scene. Here I enjoyed walking around at my own pace, reflecting on each room as I tried to take in all the information. Before this trip, I didn’t know how important the invasion of Sicily had been. I had never thought about the combat that took place in North Africa. 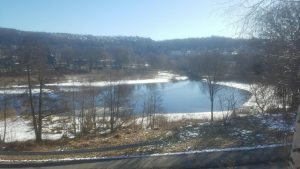 It’s hard to explain through this blog, but I felt connected to the time period more than I ever did before. For whatever reason, the museum also had several exotic animals like peacocks and black swans called Cigno in Italian. The grounds were lined with palm trees and small streams. At one end there was a landing strip with several WWII planes and jets. 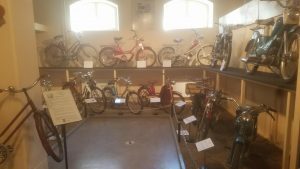 After all of the death and sadness of the first day, the museum offered another look at 1940s Italy. Of course, we were still learning about the war, but the museum’s displays somehow made it all seem a little less grim. I left feeling proud and in awe of the sacrifices made by everyone who lived during the war, on and off the battlefields. 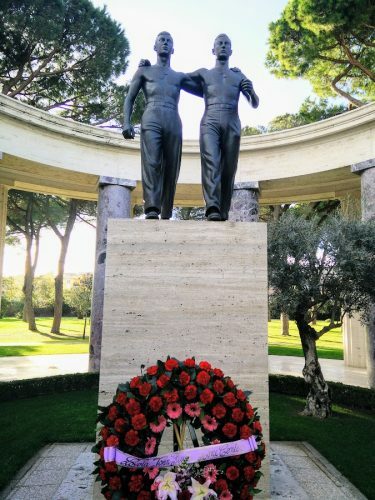 We visited The Sicily-Rome American Cemetery and Memorial next, which was infinitely more beautiful than the German one from that morning. Nothing against German cemetery design, but we definitely did a better job here. The grounds were made of sprawling green lawns with a fountain in the middle. 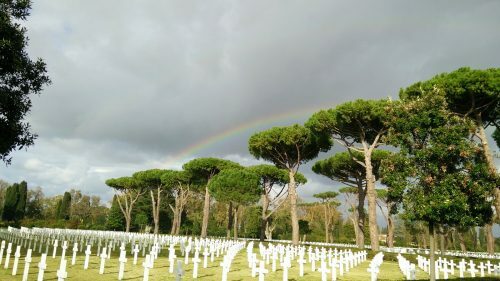 It didn’t hurt that the sun was shining and a light rain left a rainbow hanging over the Italian cypress trees. Adjacent to the graves is a building and memorial with paintings depicting the Allies routes as they fought their way up through Italy. We stopped in to hear more about the efforts to liberate Rome from the axis powers and took a group picture. Before we left, we visited a few graves. One was that of Ellen Ainsworth, a nurse who was awarded the silver star for her bravery. The weekend was packed full of walking, learning, propaganda posters, 1940s music, pizza and beer, some sorrow, and more walking. Every time we talked about a tragic event from the war, something beautiful was there to remind us that life goes on. For any future JFRC students that managed to read this whole article, I highly recommend being a part of the WWII trip.